Friday, September 10th Church180 is hosting our first ever FAMJAM! FamJam brings kids & parents together for a high- octane experience that rivals any family event. This 1 hour production uses music, dance, video, and a clubhouse of insanely funny characters that make it a blast for the entire family. FamJam will highlight a core virtue- RESPECT! Its fast- paced extreme fun with a purpose! As a daddy, I can’t wait! My girls are excited and inviting their friends too! I love that! I love that my kids are excited about what the church is doing! 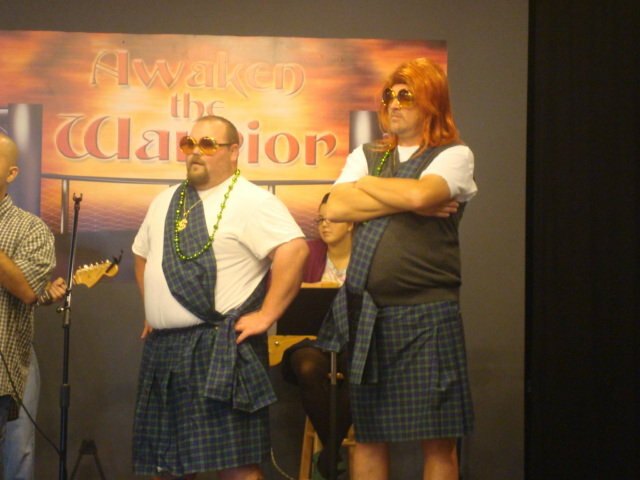 One of the funnier parts of FAMJAM is the introduction of the “Irish Rappers.” They made a special appearance at church yesterday. These guys are indeed fierce warriors and are a great addition to the FAMJAM crew! Thanks you two for being such a great part of FAMJAM! Can’t wait to hear how it goes!! !